Current global environmental challenges require firm, yet diverse resolutions in the energy sector. One promising solution consists of harnessing high-quality variable renewable energy (VRE) resources in remote locations, while using transmission links to deliver power to end users. 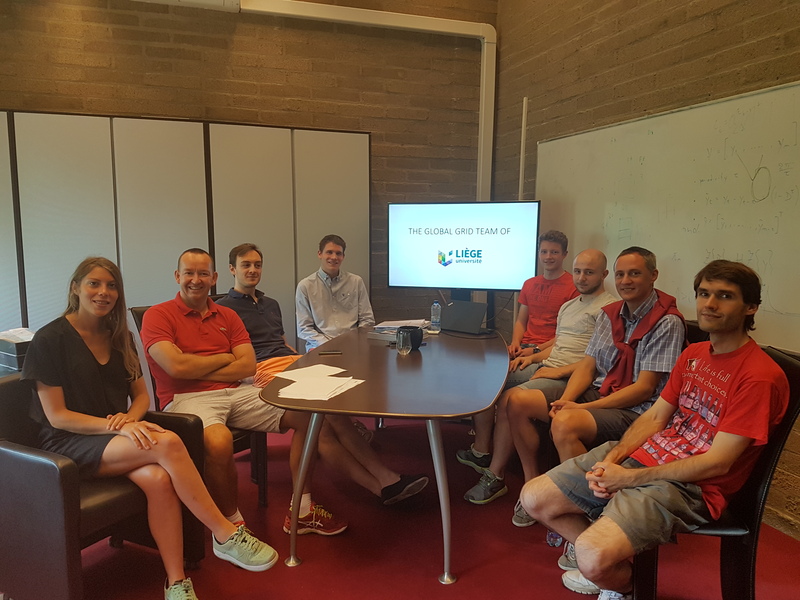 For some time the Global Grid (G2) team of the Montefiore Institute of ULiege (in the picture below) has been proactive on this topic, conducting research on the specific case of wind-power harvesting in Greenland and subsequent delivery to end users in Europe. The Global Grid (G2) team of the ULiège in the summer 2018. For left to right: Fanny Vanrykel, Damien Ernst, Mathias Berger, Simon Hardy, Robin Henry, David Radu, Xavier Fettweis and Raphael Fonteneau. In this paper, a comparison of wind conditions in selected locations in Europe and Greenland is conducted. A regional climate model (i.e. MAR – Modèle Atmosphérique Régional) is used for wind data acquisition in the latter region. This state-of-the-art tool developed specifically for simulating climatic conditions of polar regions has the specific ability to accurately represent physical processes in Greenlandic regions, including the local, semi-permanent katabatic winds. Local climate associated with one region in South Greenland is identified to exhibit specific characteristics that facilitate extensive variable renewable energy (VRE) generation levels. A methodology for assessing the added value of wind harnessing in remote locations is introduced and applied to the aforementioned case study, showing superior and complementary wind generation potential in this region of Greenland in comparison to selected European sites known for their high wind energy productivity. An artist rendering of an immense off-shore wind farm in south-eastern Greenland. Many thanks to Pierre Demet for this beautiful work. In the upcoming months, the G2 team will continue to address the potential of harnessing Greenland’s katabatic winds in the much broader context of a global electricity interconnection. 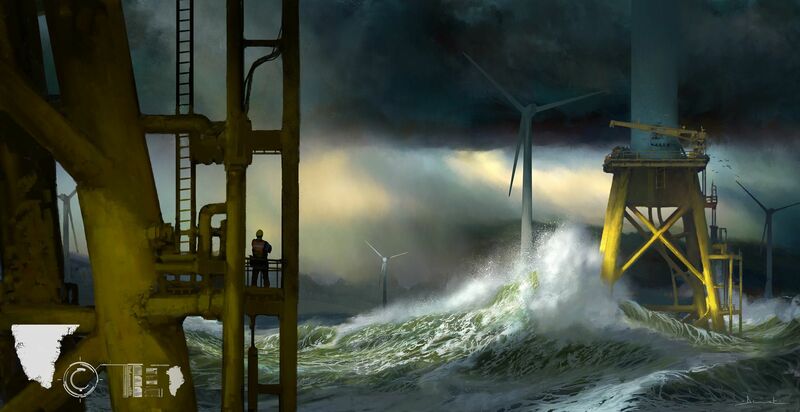 In this regard, a cost-benefit analysis intended to quantify the added value of a local Greenlandic wind farm (depicted in the figure above) linked with Europe through an HVDC interconnection will precede a comprehensive study of certain regulatory aspects (e.g. investment and cost allocation schemes, operational aspects, etc.) which are expected to play a decisive role in the successful deployment of such a large-scale project. Stay tuned! Comment allez-vous déployer les éoliennes dans ce contexte climatique? Je trouve votre idée extraordinaire.